This pistol is brand new in the hard case. 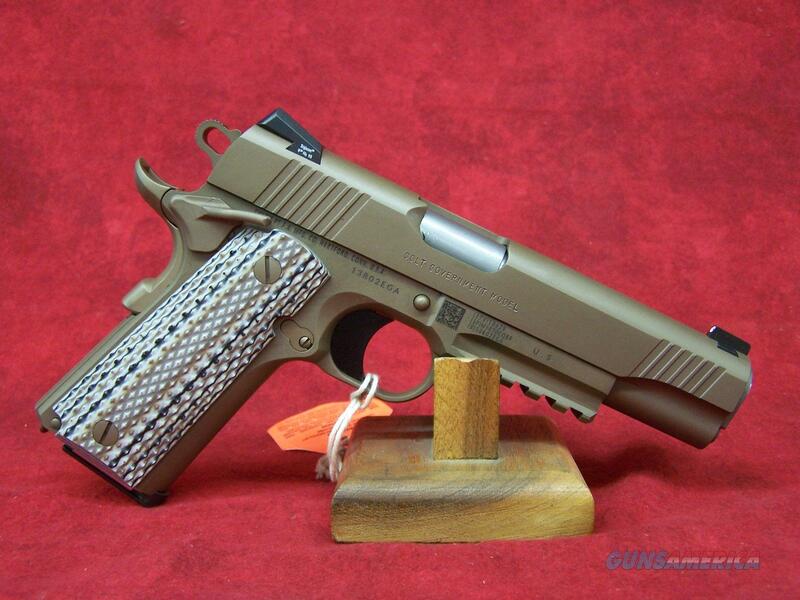 CALIBER/GAUGE:45 ACP CAPACITY:7+1 # OF MAGS:2 MAGAZINE DESC:7 Rd. BARREL:5"
Check out our website, and use our link to like us on Facebook. Watch for specials and New Arrivals. Firearms will need to be transferred through a FFL holder. Buyer to pay $25.00 S&H to lower 48. Prices reflect cash discount. There will be 3% added to credit card sales. Email us with any questions or call 1 605 793 2263 if we don't get back to you within 24 hours, either we didn't get your email, or you are not getting ours(we try to answer all our emails as quick as possible). Over 2500 guns on hand, contact us for any of your needs. If we don't have what you want, we can try to find it.